Kesi (‘cut silk’) badges are a rarer and more valuable textile, whose complexities lie in the weaving technique. 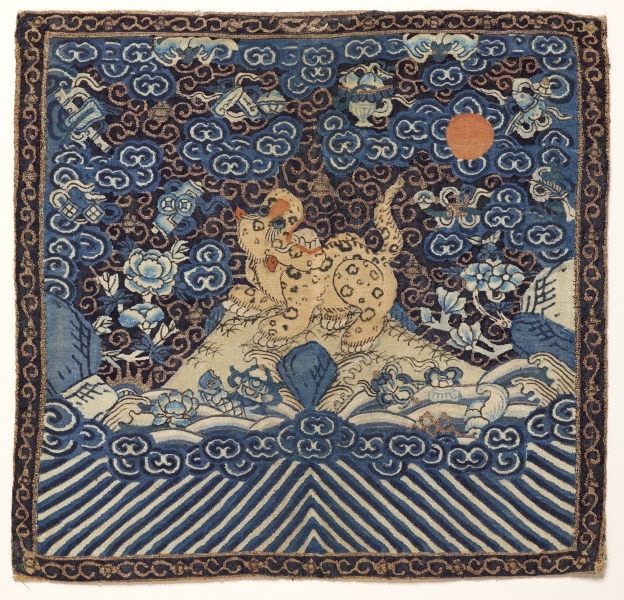 Schuyler Cammann noted that compared to the Ming period, many of the early Qing badges were embroidered. 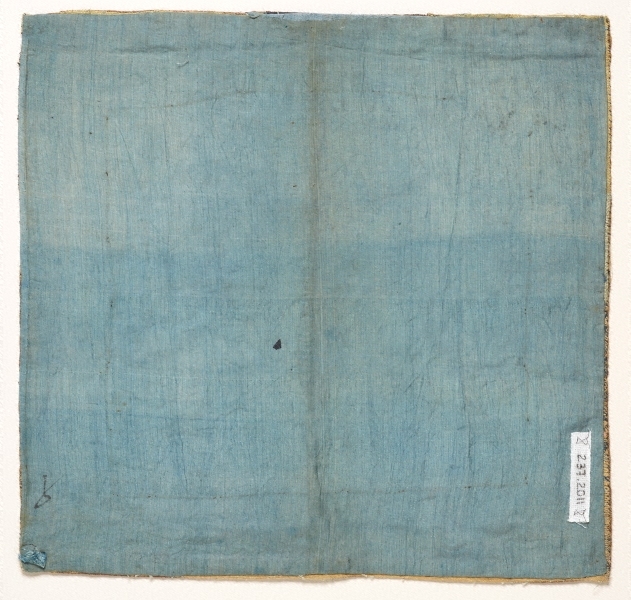 This could be due to 2 reasons: the fall of Yangzhou in 1645 and other cities which had silk weaving industries-resulting in the high cost of silk; and that woven silk appeared to be monopolised by the imperial classes with restricted use to nobles. (Cammann p. 97). The 3rd rank military badge depicts a leopard in kesi weave. 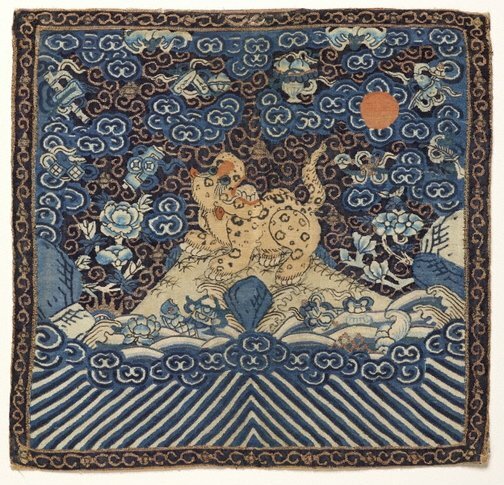 The leopard faces the sun (emperor) and is surrounded by a number of auspicious elements standing on a hill surrounded by waves and cloud elements.